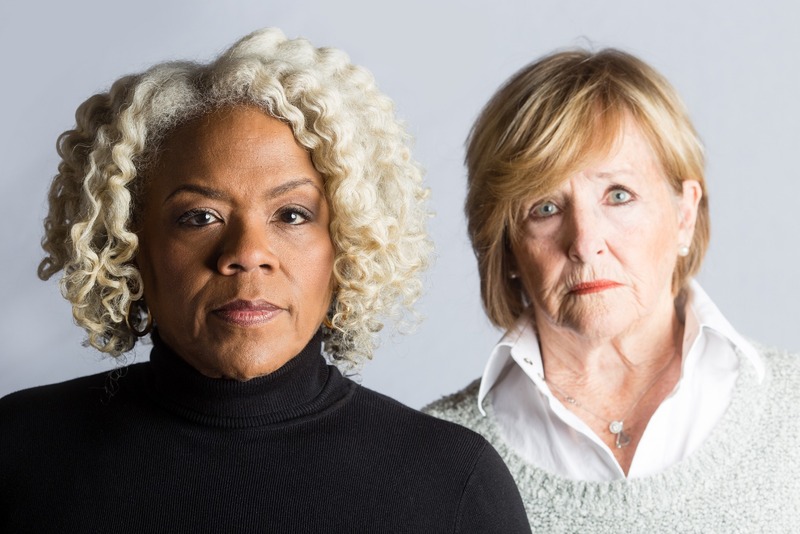 Lembit Beecher’s opera, Sky on Swings, opens Opera Philadelphia’s Festival 018 with a courageous look at Alzheimer’s disease. With a beautiful libretto by Hannah Moscovitch, the opera takes a look at how the patients perceive their disease. Lighting Designer Pat Collins and Set Designer Andrew Lieberman used cold, grey walls and stark lighting to create a frightening clinical feel. A single rod is lowered as the central stage decoration. Wrapped around the rod is a twisted neon light. Is it plaque twisted around a brain cell? Is it shaky handwriting? Projection Designer Jorge Cousineau projects the shape on the back of the stage, making it morph into words used as a test for Alzheimer’s. Beecher’s orchestration gives the lion’s share of the score to the pianist, Emily Senturia, who played beautifully throughout. The score has expressionistic passages as well as impressionistic chordal sections and Conductor Geoffrey McDonald made the most of the stylistic changes. Percussionist Ralph Sorrentino played vibraphone, glockenspiel, and even combined a cymbal and timpani to create a fog of sound, accentuated by strings, trumpet, trombone, and clarinet. Beecher’s score, while indisputably modern, kept to a melodic framework sprinkled with episodes of atonality. The chorus of four elders sing in close, almost barbershop harmony. Their ethereal vocals are a litany of medical discourse and patient complaints. A host of supernumeraries shuffle through the care center, lost and lumbering. Martha (Marietta Simpson) has advanced dementia. She has some lucid moments, but also debilitating delusions. The deep tones of Simpson’s voice are well exploited by Beecher, but it is her ability to convey moments of lucidity and warmth followed by terror that was so convincing. Danny (Frederica von Stade) is a researcher who suddenly cannot find her car. She decides, reluctantly, to choose a care center while she still can. Frank Mitchell, a staid administrator, is moving as he sings that it will be harder for her to adjust. Sharleen Joynt, making her début with Opera Philadelphia as Martha’s daughter Winnie, hits extremely high notes with incredible ease. The wild leaps mirror her desperation when her mother’s brain starts to fail and the rest of her life crumbles with the strain. Ira, Danny’s son, is a tough-love guy who bluntly confronts his mother with her disease. Van Stade puts a quiet but steely verve into the low range of her part, showing at the beginning that she is still in control. Frightened, she accepts solace from Martha, in spite of Martha’s impeded cognition. As Danny’s disease progresses, Van Stade makes subtle changes to her voice as she loses acuity while gaining warmth. Joanna Settle’s direction of these two talented stars allows them to develop their roles and lets their experience in both singing and acting blossom. The one caveat is that the final moments of the opera are painfully slow, but then, so is the disease.